BAYTOWN, TX (KTRK) -- Three men are behind bars and one man is on the run after authorities say an off-duty officer jumped into action early Friday morning after seeing a Whataburger restaurant being robbed at gunpoint. Off-duty Mont Belvieu Police Department officer Travis Mendenhall was at the Whataburger on Highway 146 and south of Interstate 10 around 2:00am and saw the men enter the restaurant and order the employees to the floor at gunpoint. Mendenhall called 911 and as the robbers drove off, authorities say, he followed them, giving police tips as he drove. Baytown Police stopped the suspects' vehicle at the Interstate 10 and John Martin Road exit. 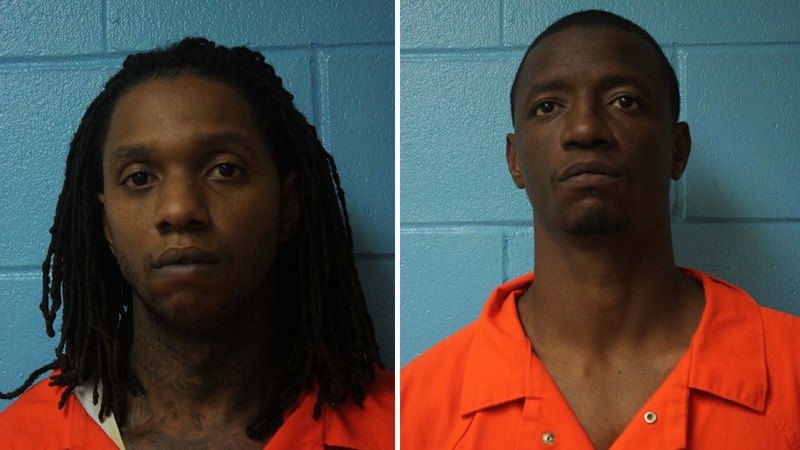 Police arrested David Brown, 30, Lionel Biggs, 28, and Jovanni Rubin, 20. Law enforcement officers say one man, James Lindsey, 25, was able to escape and a warrant is out for his arrest. All of the men are from Houston. If you have any information regarding this case, you are urged to contact the Chambers County Sheriff's Office Criminal Investigations Division at 409-267-2500.